It is finally that time of the year! Thanksgiving is over and we can now officially get ready for the holidays. Now, I'm someone who LOVES gift giving. For me, its fun to find the perfect gifts for loved ones. I may even be more excited for them to open their gifts than I am for my own. 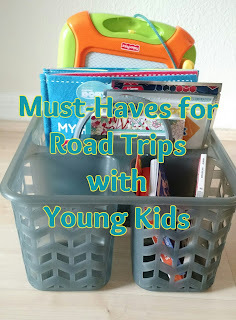 So, instead of having one post as a gift guide, I will be doing a gift guide series with several posts featuring gifts perfect for people with different interest. This first one is a great gift for everyone. Seriously. The Passion Planner is great for those who have a busy schedule, are realizing their dreams, or who simply want to live a happier life. Yes, it is a planner, so organization is of course one of the main objectives here. But this planner is so much more than a schedule and notes. I may be getting ahead of myself here... Let's start at the beginning. 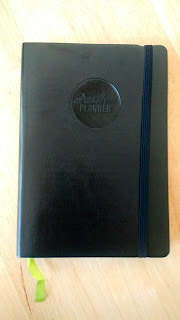 This is the compact version of the planner. I'm planning on giving this to my hubby and knowing him, he's going to want something that travels well. There are a few features I noticed right from the beginning that I love: the built in band - you won't lose it this way, the built in book mark - great for finding your place in a hurry and... you won't lose it, the soft, beautiful cover - I love how it feels and that it has such a sophisticated look without seeming overly done. Now lets take a look inside. For those who are used to a simple calendar planner, this one may seem like a lot at first. But don't worry, Passion Planner has you covered. 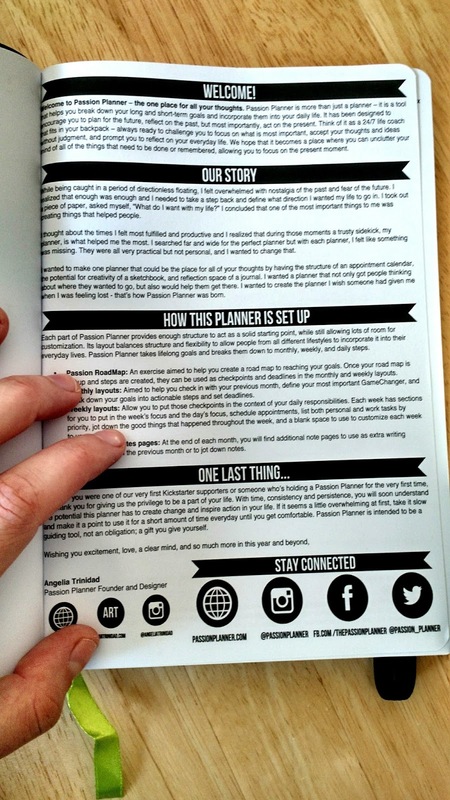 Instructions, along with the story behind the planner, are included in the first couple of pages. The next page is a road map of sorts. Not just for the year's goals, but for your lifetime. You then have your monthly calendar, followed by weekly pages in a vertical layout. At the end of each month is a space for reflection. I LOVE this part of the planner. Here you can jot down memories, how far you've come, and even take time to figure out changes that need to be made for the next month. This is a really unique feature that sets this planner apart from the rest. Its no longer just an organizational tool, it becomes a better life tool. Many, many graphed pages are included in the back of the planner for lists, doodles, charts, etc. Another one of my favorite features? Each week there is not only an inspirational quote, but a suggestion or activity to complete that week. For example, one week the tip is "Everyday tell at least 5 people (preferably strangers) a genuine compliment and see how it brightens their day." Just little things to make your daily life a little bit sweeter. Its these small but really special features that turn this planner into a thoughtful gift that is appropriate for pretty much anyone and everyone. 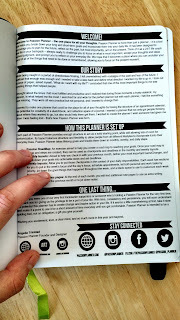 For more information on the Passion Planner check them out at http://www.passionplanner.com.